The seal can replace EA560 from EKK The seal is self-adjusting to shaft misalignments and deflections because of the loosely inserted seal face as well as the ability of the bellows to stretch and tighten. 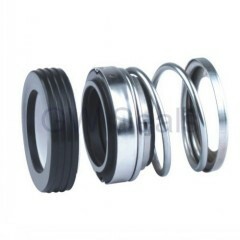 The length of the contact area of the bellows with the shaft is an optimum compromise between ease of assembly (less friction) and sufficient adhesive force for torque transmission. 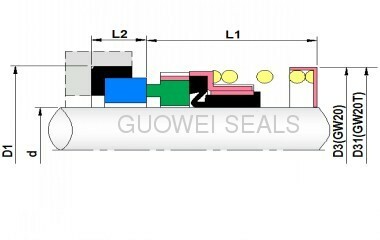 Additionally the seal fulfills very specific leakage requirements. Because the sliding parts are made in-house, a wide variety of special needs can be accommodated.